I imagine encourages your child to enjoy playing actively and imaginatively at home. We want you to have time to get your work done so you can join your child to play and be in the moment. Click on the image above for a taste of what you get when you download this free, child friendly app. 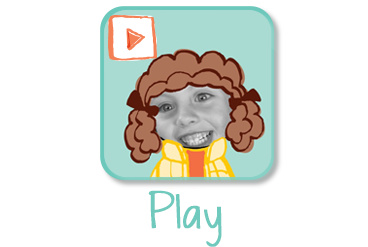 Your child will love creating their characters for this personalized app. Give a few minutes of your time to help them type and record their names. You'll be amazed at how quickly they learn to type their own name. Watch them delight in choosing faces, hairstyles and clothes! Watch your child engage with the story and explore the pages to discover loads of fun interactions. Listen as they laugh out loud as they help their character play in the backyard, draw, dance and even jump on the bed! 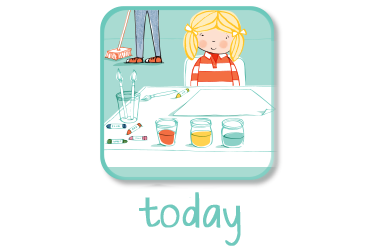 I imagine is a fun way for parents to encourage active, imaginative play. We love the reviews I imagine is receiving from parents and children's app reviewers, please see below for some samples and links. Bizzibrains' I imagine book app is a unique, interactive and personalized story designed to bring families less stress and more joy. In less than a month of being released, I imagine reached number 10 on the App Store in the US and number 3 on the App Store in the UK for free books. 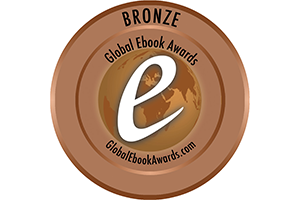 It is receiving 5 star ratings and has been featured in Best New Apps and Games in the Kids category in the US, Best New Apps in iPad Books in the US, What's Hot in iPad Books in Australia and in Best for Ages 5 and Under in the UK. “I absolutely loved this story and all of its awesome interactive features and games,” says theiphonemom.com. AppPicker say it is "probably the best interactive story book in the App Store." I imagine is designed to encourage independent, imaginative play. “We are going to put you, a grown up who looks after you, and a toy into the words and pictures of this story” says the narrator, introducing the fun character creation stage. Parents of children who can’t type yet should be prepared to spend a quick minute or so helping their child type and record the character names. Creator Nic Lansdell admits that her “four year old learned to type the names of all the members of our family playing I imagine”. After the character creation stage, parents can step back and watch their child delight in exploring each page, funding the interactions and engaging with the story. Children love putting themselves and the two other characters in the story by typing and recording their names, taking a photo face and choosing hair and clothing. They engage with the story and explore the pages to discover loads of fun interactions. They laugh out loud as they help their character play in the backyard, draw, dance and even jump on the bed! Parents will be impressed with the educational features of the app. Children listen to and follow instructions and learn to type their names. They are encouraged to explore the story pages to find interactions themselves. Parents love that I imagine encourages active, independent, imaginative play enabling parents to get their work done and then join their child to play in the moment. •	An award for parents to print out and use as a tool to encourage independent, imaginative play. “A passion for stories, illustrations, music and children inspired me to create this app. Once I had the idea of Bizzibrains clear in my head I was so excited about taking on the challenge of bringing it to life,” says creator Nic Lansdell. I imagine (mobile app) is certified by the kidSAFE® Seal Program. To learn more, click on the seal or go to www.kidsafeseal.com. If you enjoy I imagine please consider supporting Bizzibrains to make their next app by reviewing it on the App Store. www.appPicker.com says I imagine is "probably the best interactive story book in the App Store." Curious Mum says I imagine is "among the best featured in the App Store right now"
"I absolutely loved this story and all of its awesome interactive features and games." Mumsgrapevine say "I imagine is a gorgeous new children’s app that blends your photos and voice in to a beautifully illustrated, personalised story where you and your child are the stars." Kirkus Reviews say "Thoughtful design features make this an inclusive story that will resonate with many young children." 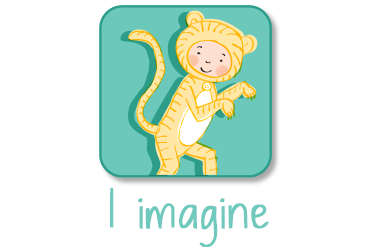 App Friday say "In addition to the engaging story, illustrations and music, I imagine is full of entertaining interactions that children will play over and over again." Pak Mag March 2014 issue, page 11. Babyworld UK rated 5 stars. We have designed our apps to be child friendly and safe. I imagine (mobile app) is certified by the kidSAFE® Seal Program. To learn more, click on the seal or go to www.kidsafeseal.com. Questions, comments, suggestions or feedback? Copyright © Bizzibrains 2014. All rights reserved.